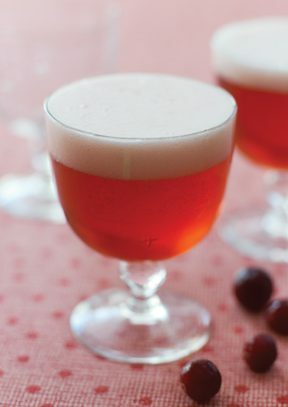 A bubbly bottle of cranberry-apple cider gains delicious complexity from a zingy ginger shrub and warming cinnamon syrup. Best of all, it’s a snap to make. Muddle cranberries in a shaker. Add shrub and syrup and shake with ice cubes. Place ice block in a punch bowl. Double strain cranberry mixture over ice block and add cider, stirring to combine without deflating bubbles. Float fresh cranberries in punch and serve. The world of homegrown cider is bold and varied right now. Here are the brands to pick up.